Andrea Giesbrecht, found guilty of disposing of six infants’ remains in a Winnipeg U-Haul storage locker, will return home shortly after she won an appeal reducing her prison sentence. Giesbrecht was ordered released on Tuesday, her lawyer Greg Brodsky said, after a panel of Manitoba judges reduced her original 8½-year sentence to three years. 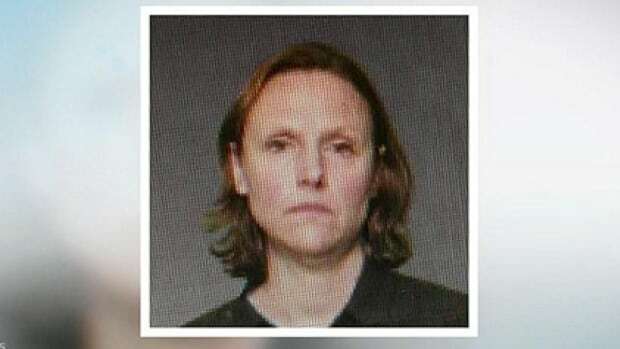 Giesbrecht was sentenced in July 2017 after she was found guilty of disposing of the infants’ remains. She appealed the conviction and the sentence. The panel of judges in Manitoba’s Court of Appeal dismissed the appeal of her conviction, but allowed the other portion, shortening her sentence by more than five years. In the decision, Justice Christopher J. Mainella called the case “deeply disturbing,” but said the original sentence assumed Giesbrecht was guilty of actions for which she was never tried or convicted. Giesbrecht’s new sentence was based on six months’ imprisonment on each of six counts of concealing the body of a child contrary to the Criminal Code, for a total of three years less time served. Her lawyer, Greg Brodsky, said Wednesday Giesbrecht has served that sentence. He said she was ordered released from an institution in Atlantic Canada, but remains there until a flight can be arranged for her to return to Manitoba. In the decision, Mainella wrote the original sentence was, to his knowledge, the longest ever in Canada for an offender convicted of Giesbrecht’s charges alone. The charge itself is rarely prosecuted, he wrote. Giesbrecht, a married mother of two, lived an “unassuming suburban life” while she concealed six pregnancies, Mainella wrote. After hidden deliveries, she stored the bodies of the near or full-term infants until they were discovered in 2014. “It is a mystery as to how each of the children died and why the accused decided to conceal the bodies,” Mainella wrote. The infants’ remains were found Oct. 20, 2014, by employees at a U-Haul storage facility in a locker Giesbrecht rented under her maiden name, after she failed to pay her bill. But he noted Giesbrecht was not found guilty of any foul play to living children — only “crimes of deceit” relating to their remains. He added the trial judge, Murray Thompson, had no guidance on sentencing given the rarity of the offences and the fact there were several bodies concealed in a methodical way. But he wrote the trial judge erred by delivering a sentence too high for Giesbrecht’s conviction, rather than what she may have done. “Many may say that no prison term is too long when any grotesque indignity is committed against a child, particularly when it occurs on a large scale as happened here,” he wrote.